← Giveaway – Can You Spot the Mistake? Thanks to everyone who entered the Giveaway for the Cupcake Pin Cushion! Winner is announced at the end of this post. Several of you commented that it was hard to spot the error since the picture of the corrected one was rotated – thus making it hard to compared the two. Of course, I did that on purpose to make it a bit more challenging! See the picture below for the solution. As you can see, I had three squares that weren’t in the correct place. 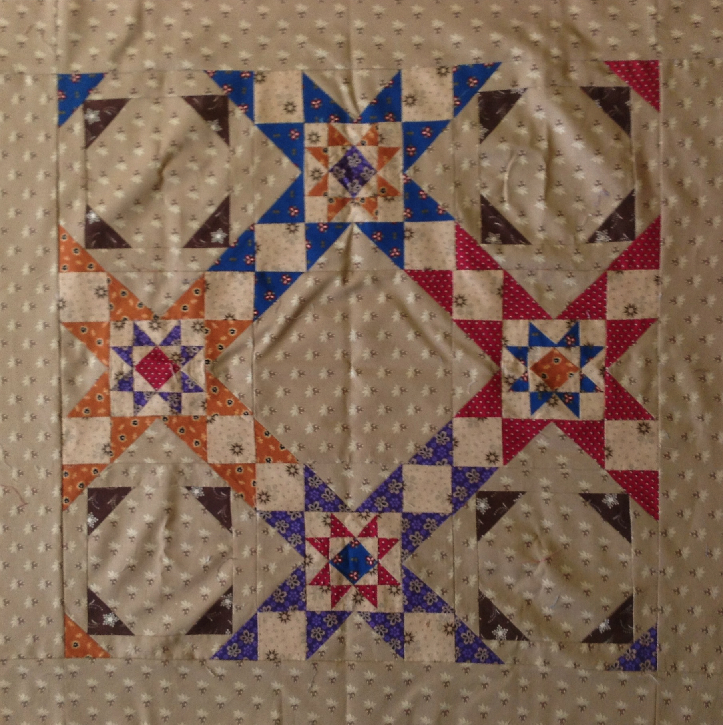 This caused the small triangles in the upper middle to be mismatched with their appropriate color. 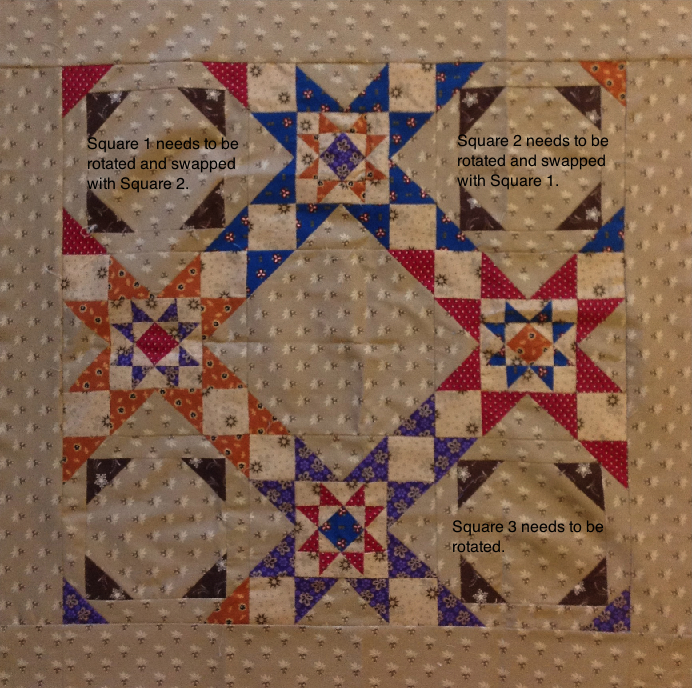 The squares were ripped out and re-sewn, as that that seemed the easiest and quickest way to correct it. See below for the corrected version. Note, I have rotated it so that it is easier to compare the two. Update: Just realized I mis-labeled Square 3. Square three should be the square in the lower left corner. That one needs to be rotated so the purple triangle matches up correctly with the main design. Luckily I did this correctly when I actually fixed the quilt! There were a total of 7 comments on the Giveaway post. 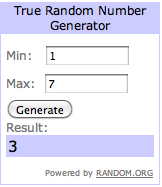 A random number generator from Random.org was used to select the winner. Congratulations to Emily Breclaw of The Caffeinated Quilter, who posted the third comment!